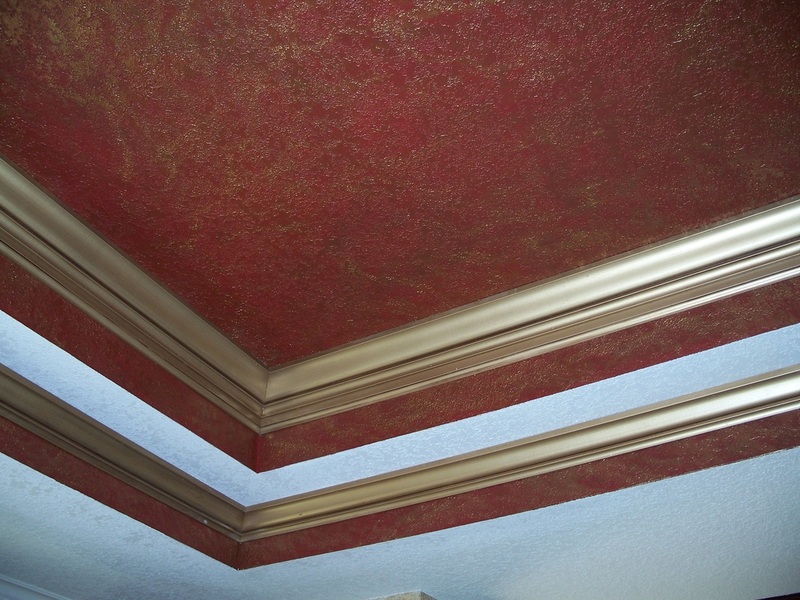 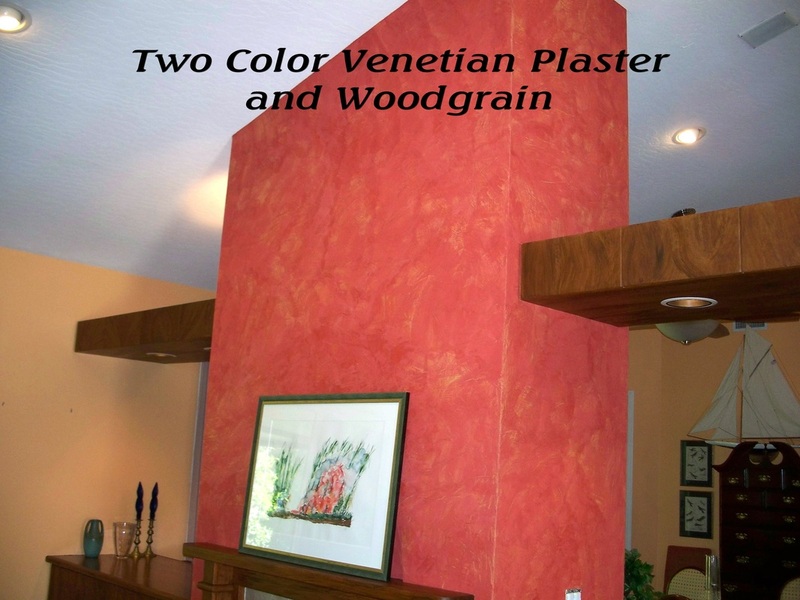 Venetian Plaster in Red and Yellow Tones with Faux Woodgrain over Formica. 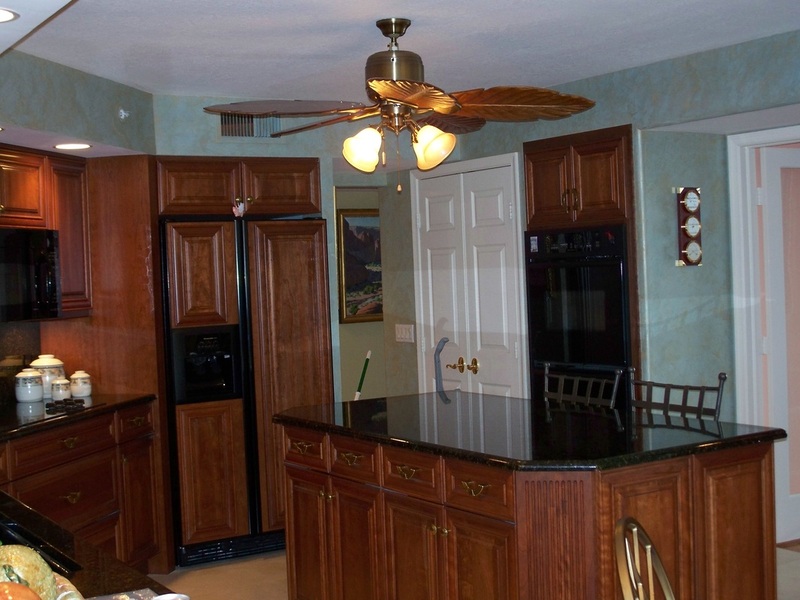 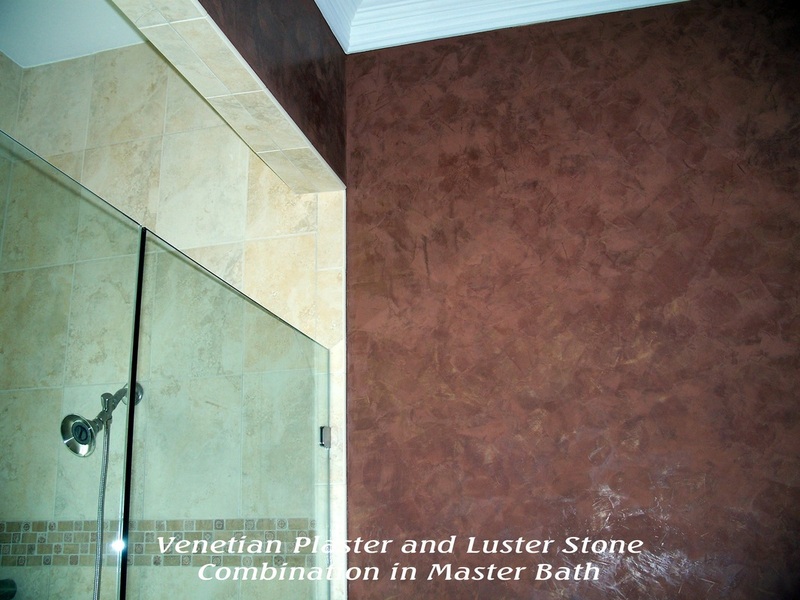 Chocolate Venetian Plaster with Champagne Luster Stone as Finishing Coat. 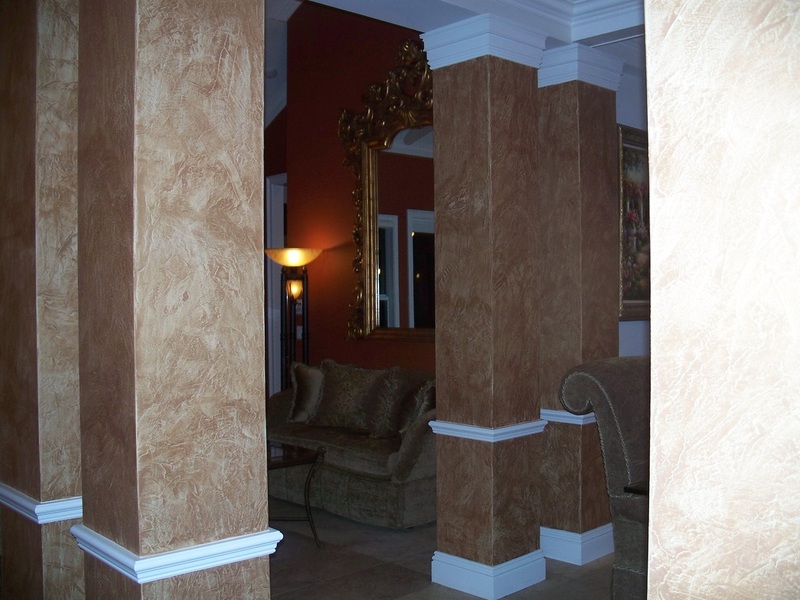 Butterscotch Venetian Plaster Below and Champagne Luster Stone Above Chair Rail. 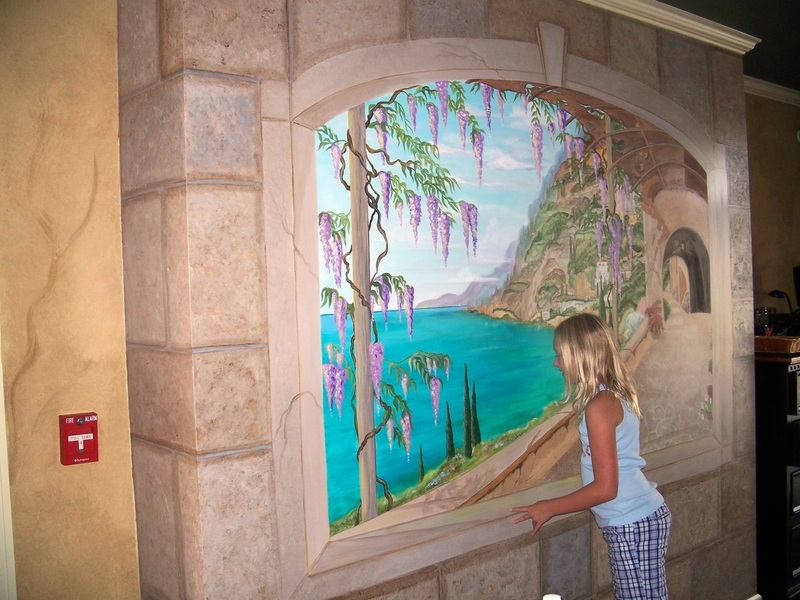 Acrylic Mural and Faux Stone with Faux Glaze on Walls in Restaurant. 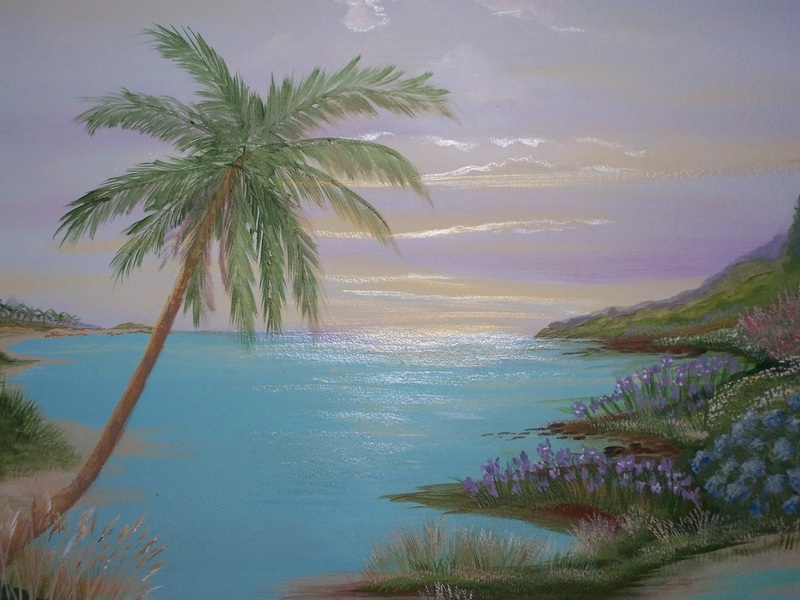 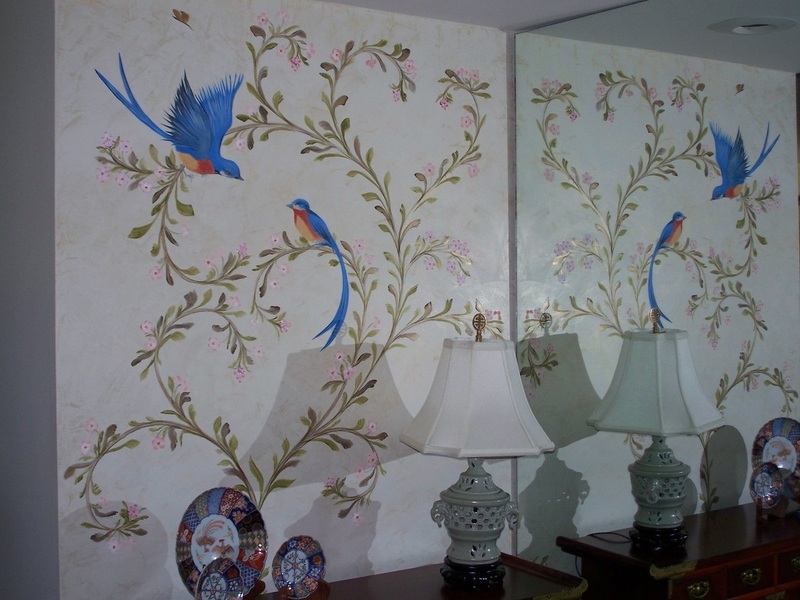 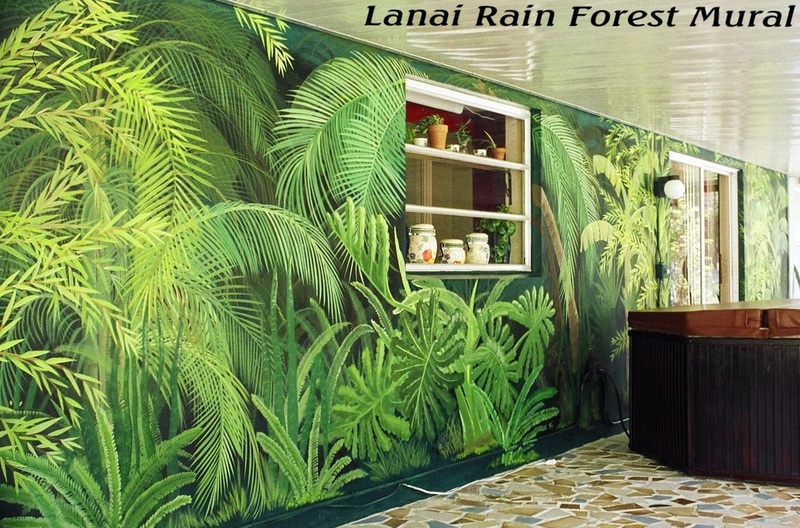 Acrylic and Venetian Plaster Tropical Mural 7' x 3' . 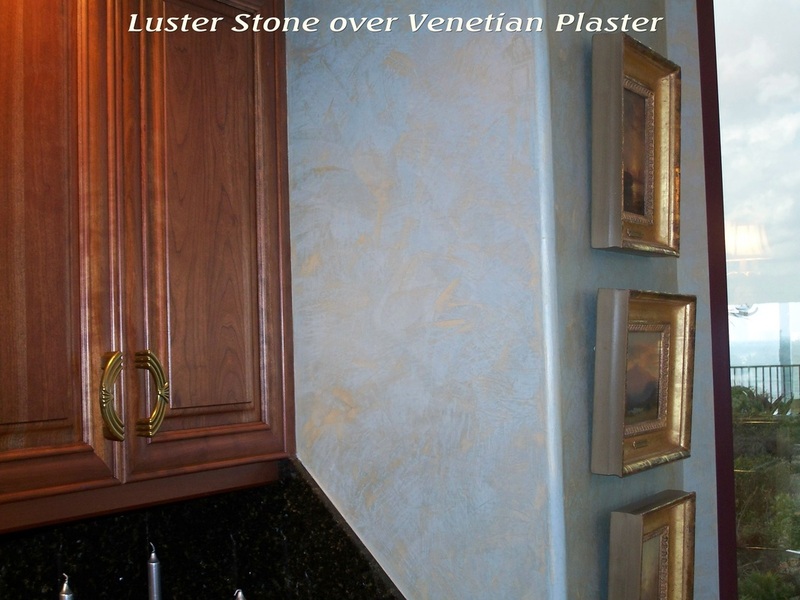 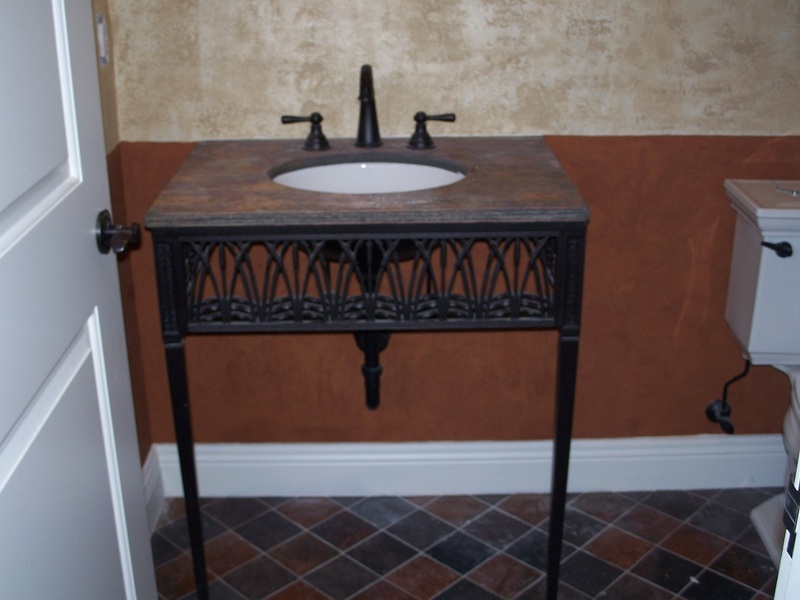 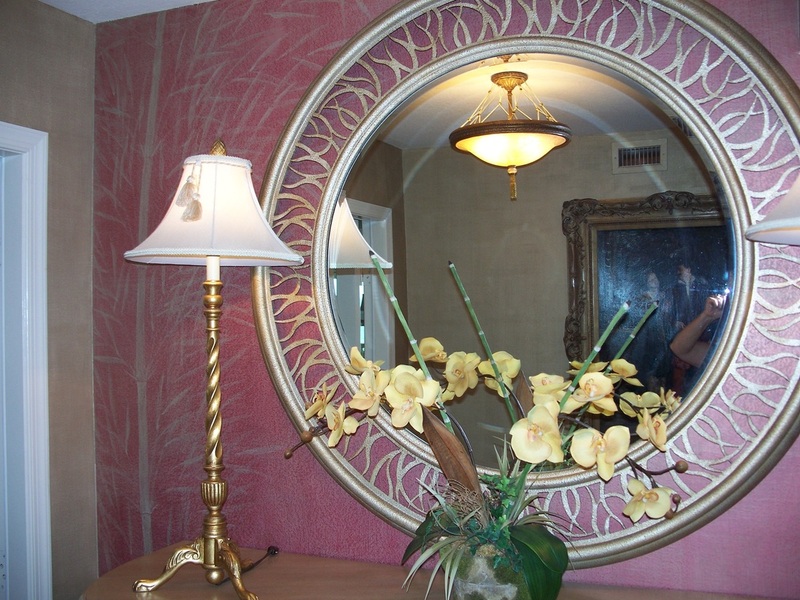 Venetian Plaster Base with Luster Stone Mural in Entry.